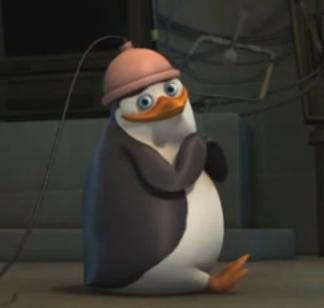 Aww, Private's so cute.. . Wallpaper and background images in the Penguins of Madagascar club tagged: penguins of madagascar private. Who's the cutest penguin on earth? YOU ARE! YOU ARE! Oh my gosh, that is SOOOOOOOOOOOOOOOOOOOOOOOOOOOOOOOOOOOOOOOOO cute! but what it is on his head? he looks like a baby!!!!!!! I wanna hold him!!!! No wait..........holding skipper is better. never mind all you private lovers.